← Gold, Frankenstein and something else. Off to bed, feeling very sorry for myself. Bah humbug. 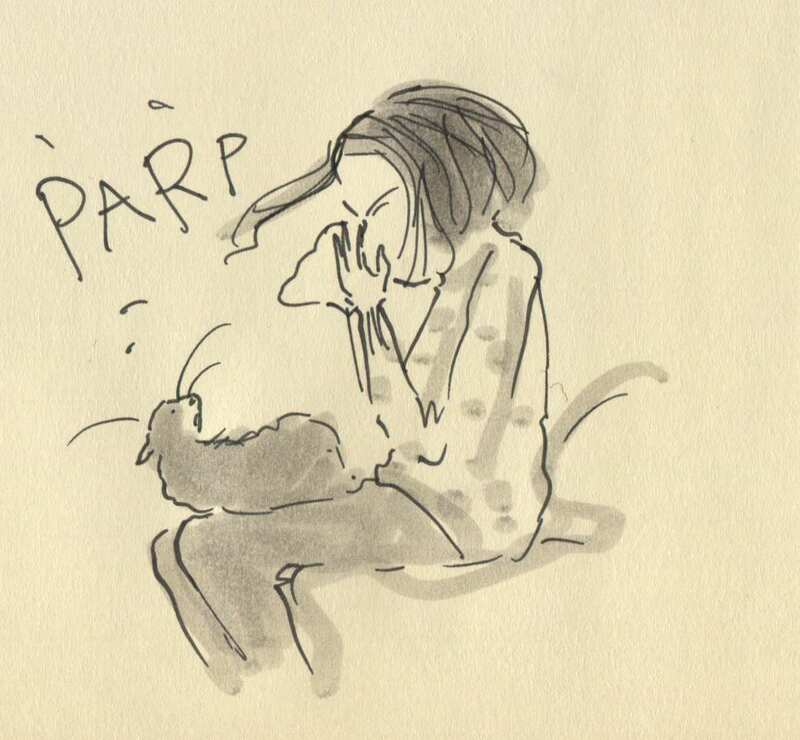 Posted on December 12, 2014, in Uncategorized and tagged Christmas, Colds and flu, Doodlemum, Drawing, Family, Humour, Illustration, Life, Pen and Ink, Sketchbook. Bookmark the permalink. 7 Comments. get well cuz I love my new doodlemum book which just arrived today! <3!!! Ha ha ha! When my husband and I first got married, he had a boxer who thought she was the wife and I was the mistress. And she almost won, too, because her gas was so terrible! She’d try to stink me out every time he was at work. Oh no, hope you feel better soon. Perhaps it’s better to get the bugs over with before Christmas. My nan used to recommend a rum toddy, she believed rum has stronger lurgy defences than whisky/whiskey. Nans recipe: rum, honey, half a lemon squeezed into a glass/mug of hot water, plus a slice of the lemon to make it look pretty and a cinnamon stick to stir. or alternatively, one third rum two thirds hot lemonade, the kids can drink the rest (of the lemonade). Make mine a double please and hold the lemonade!